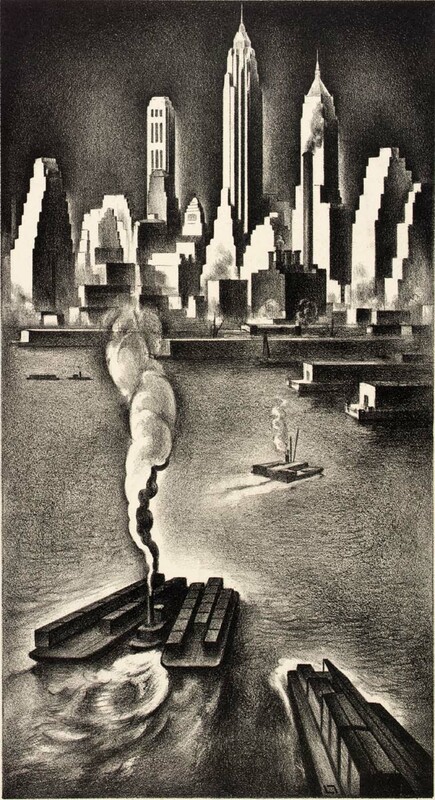 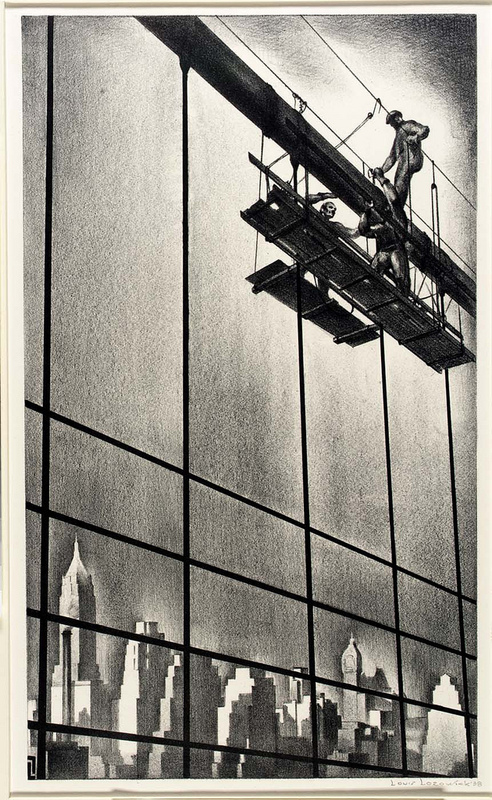 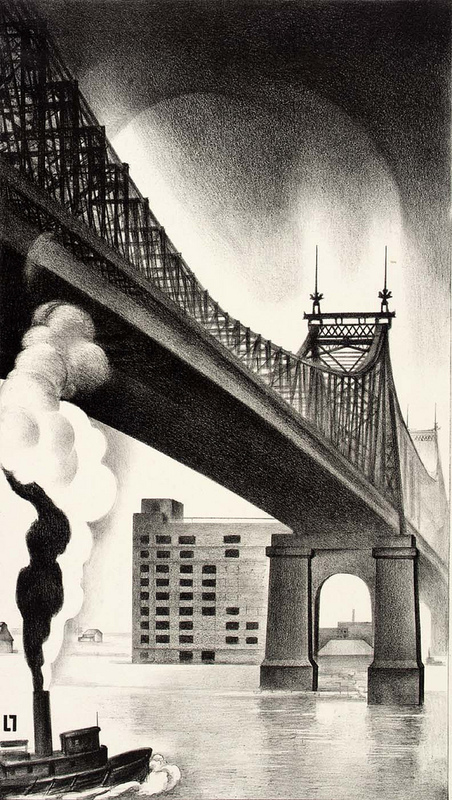 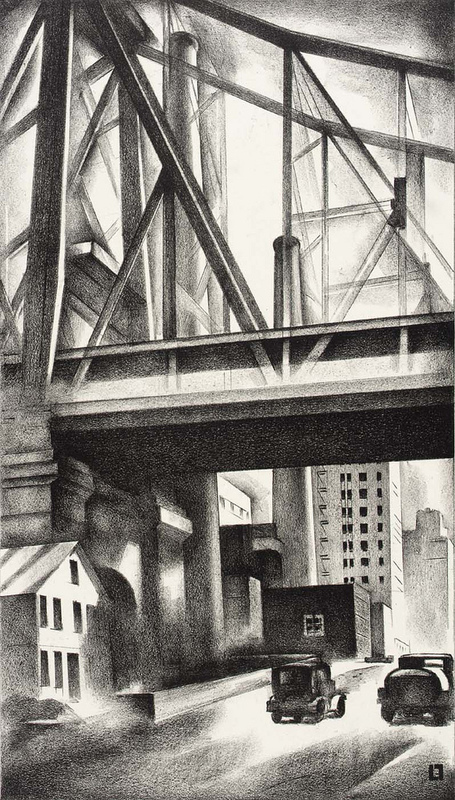 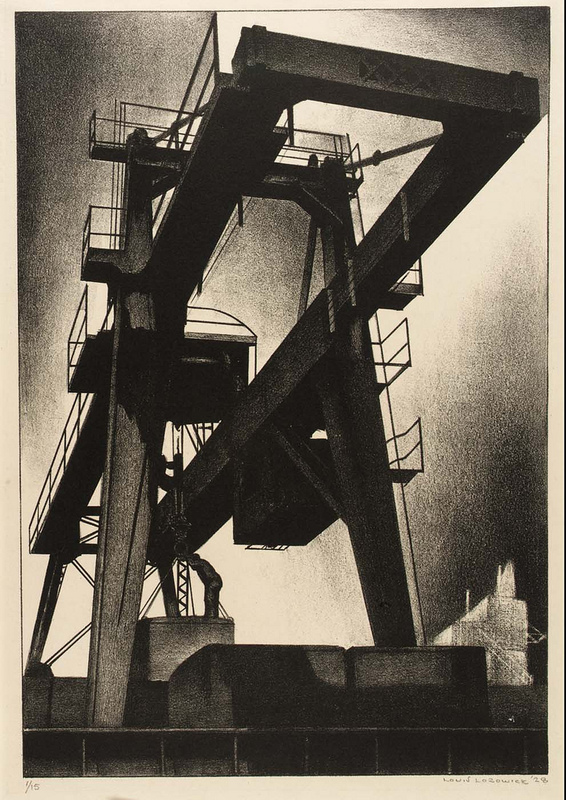 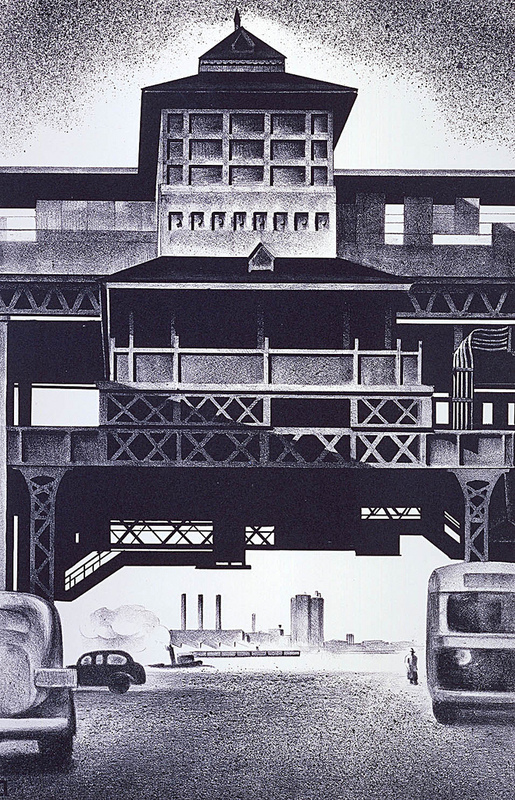 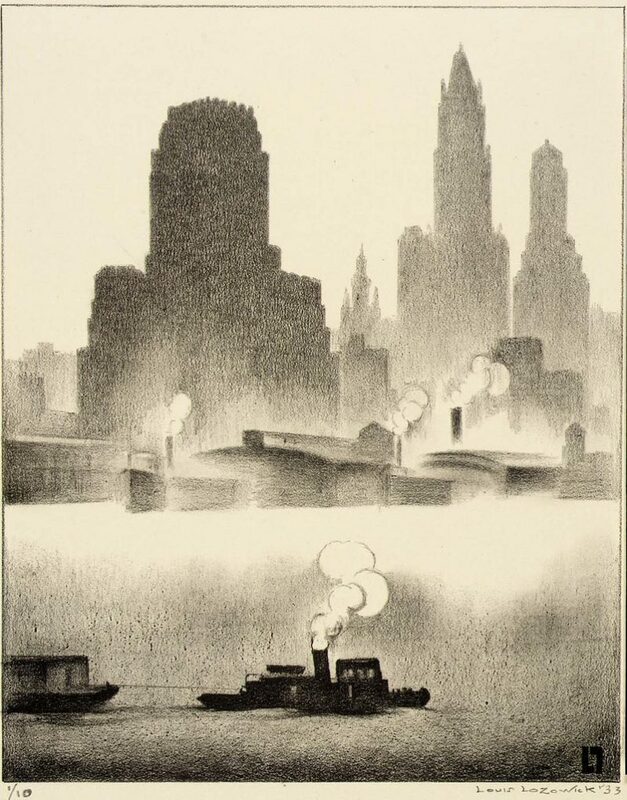 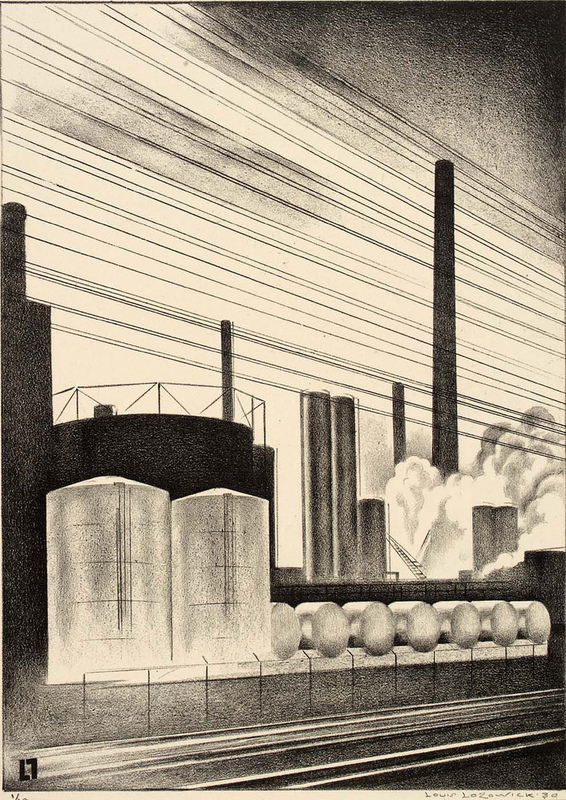 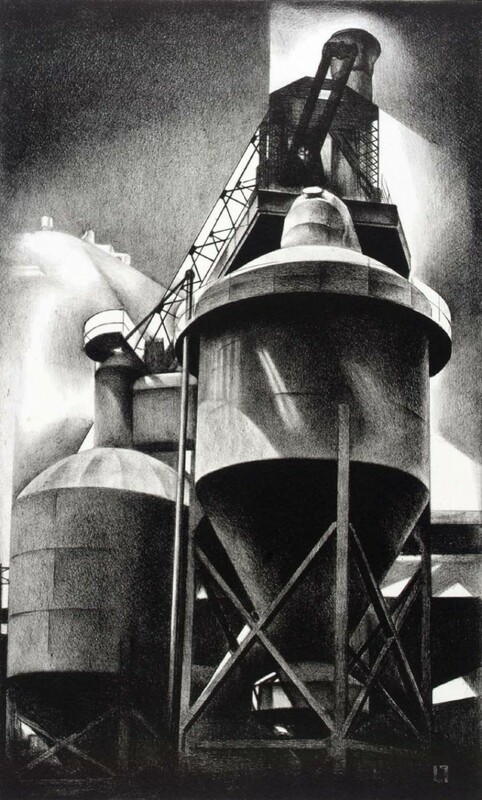 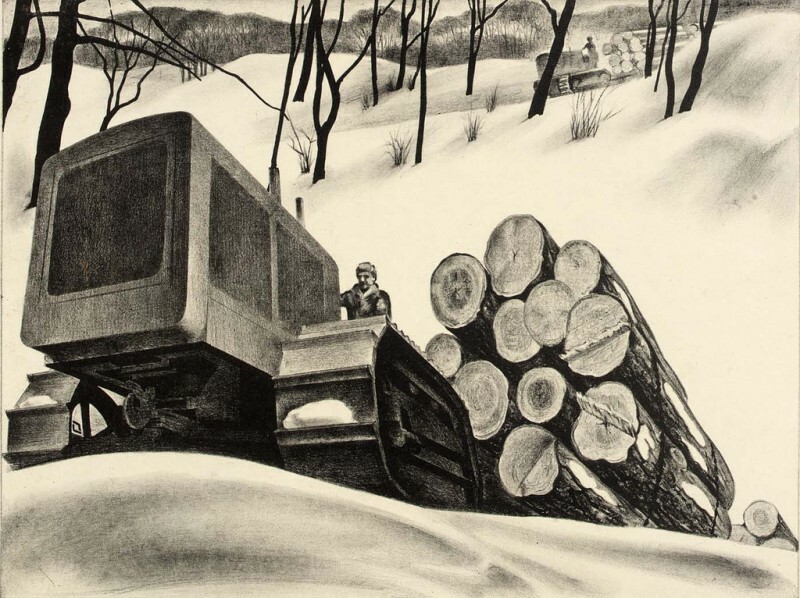 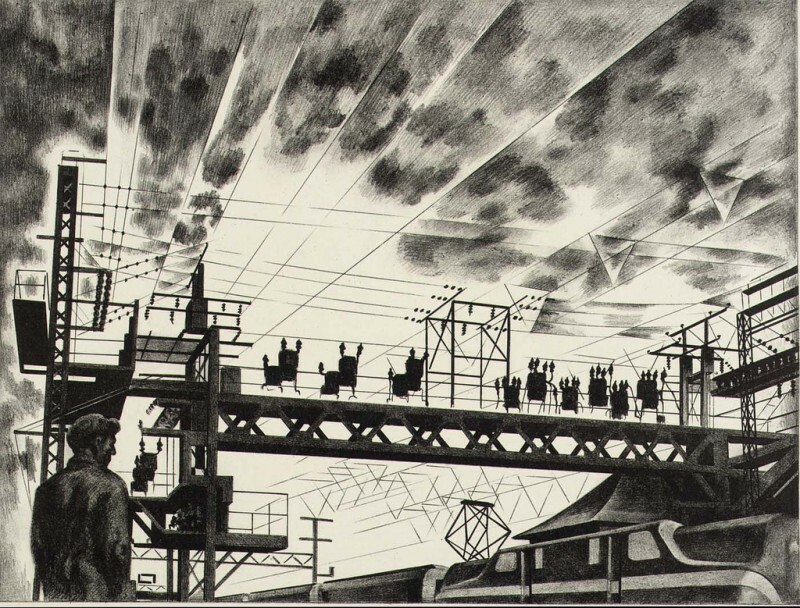 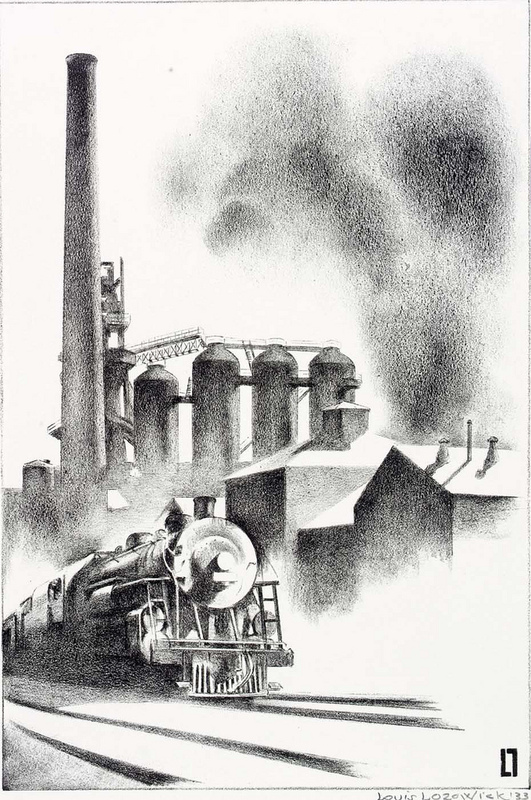 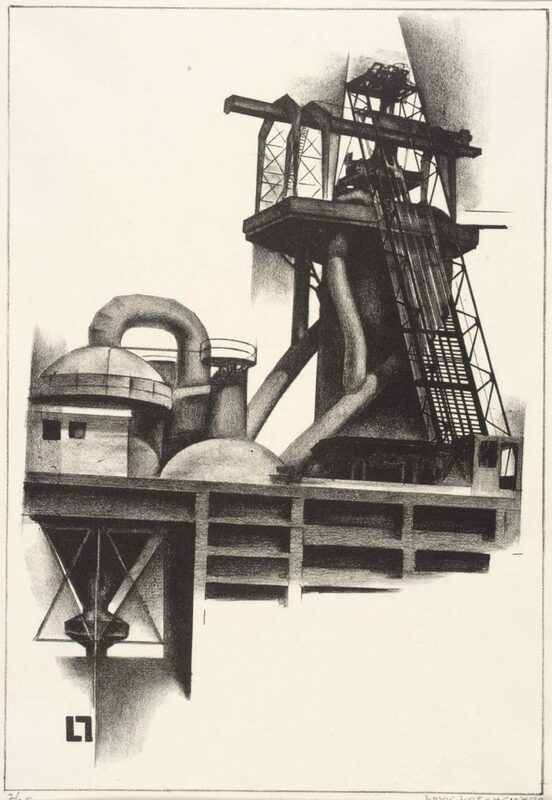 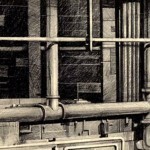 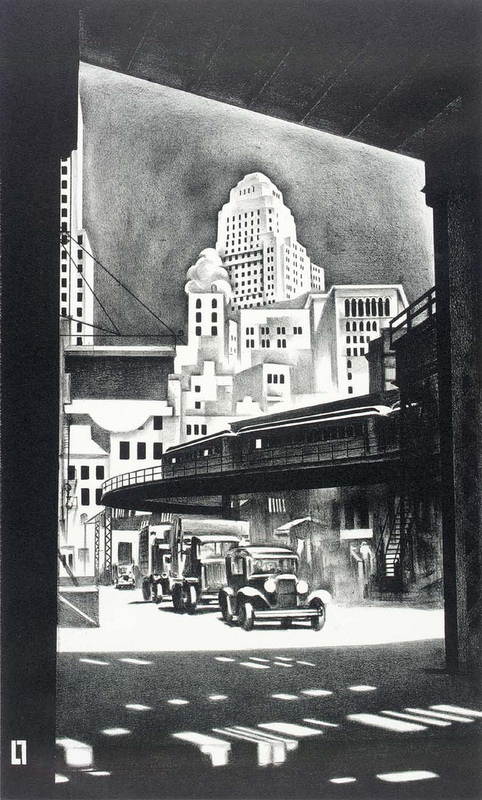 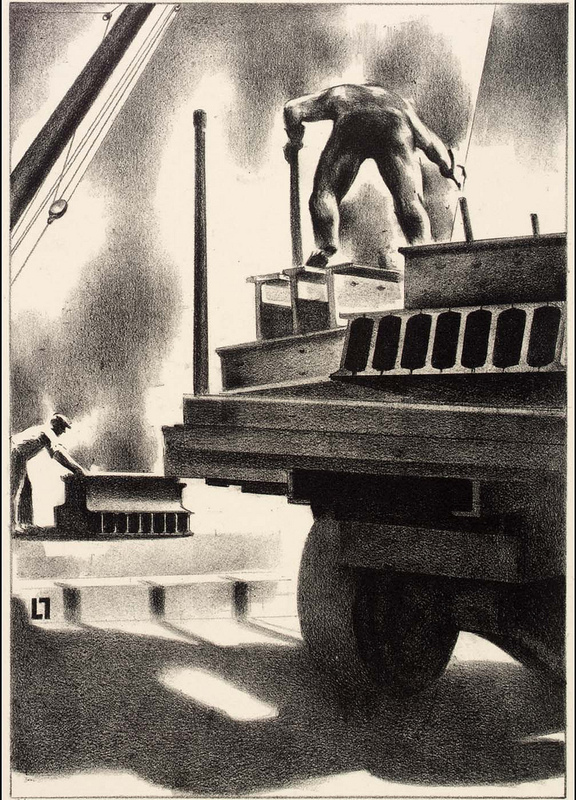 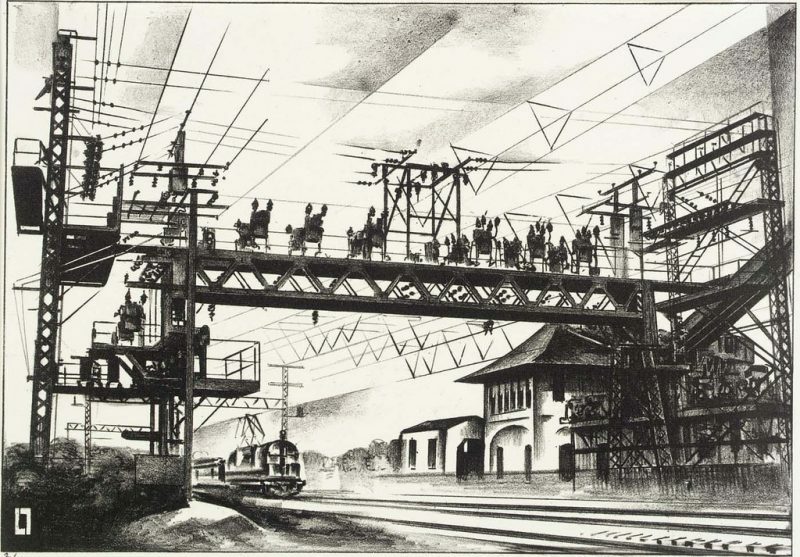 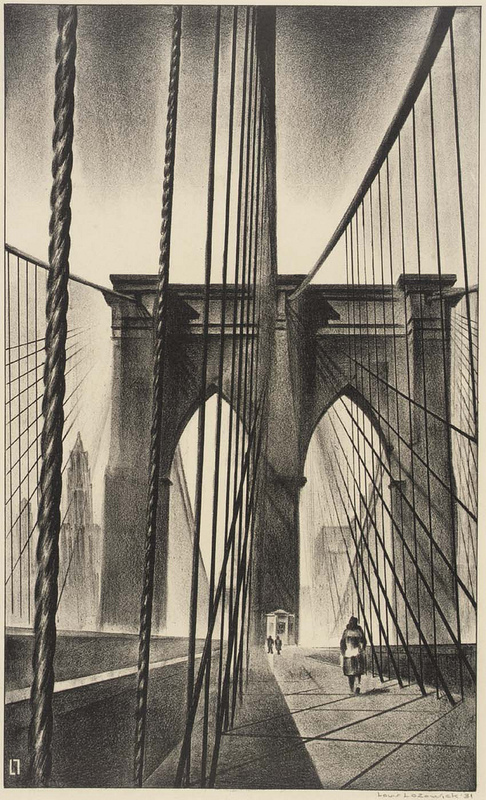 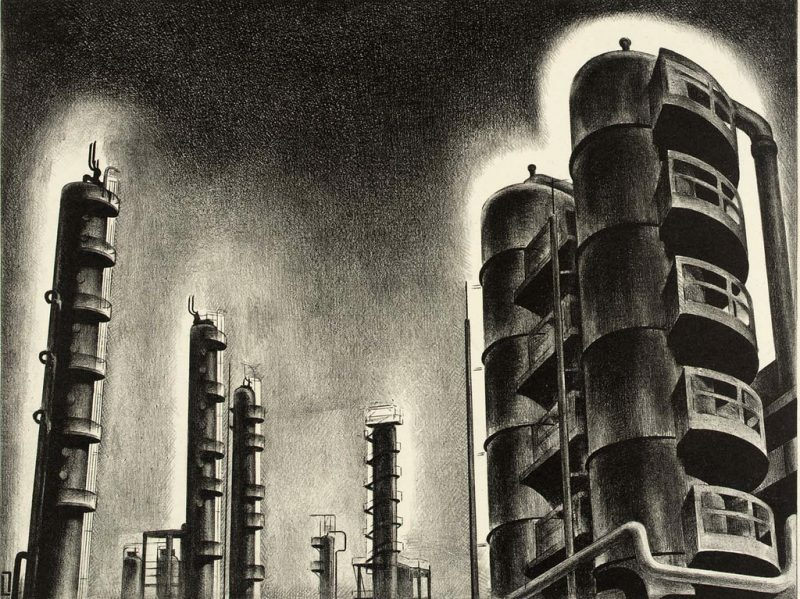 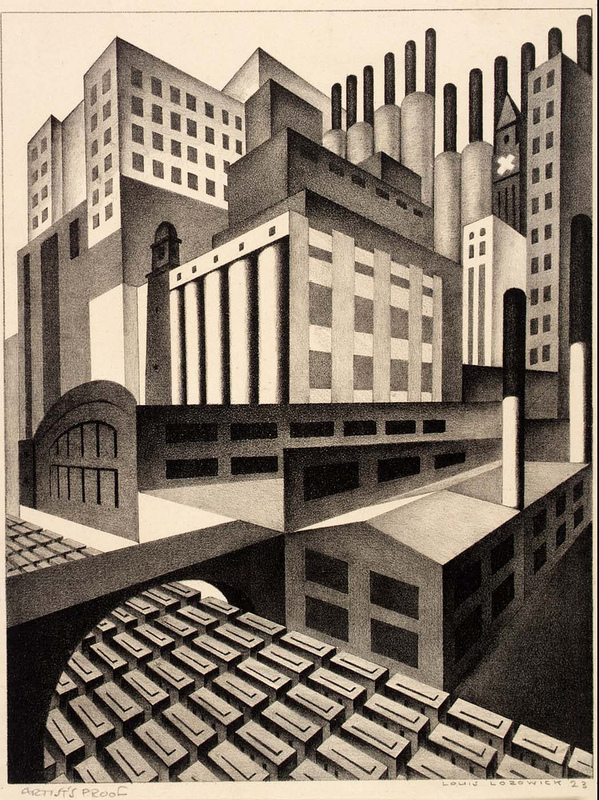 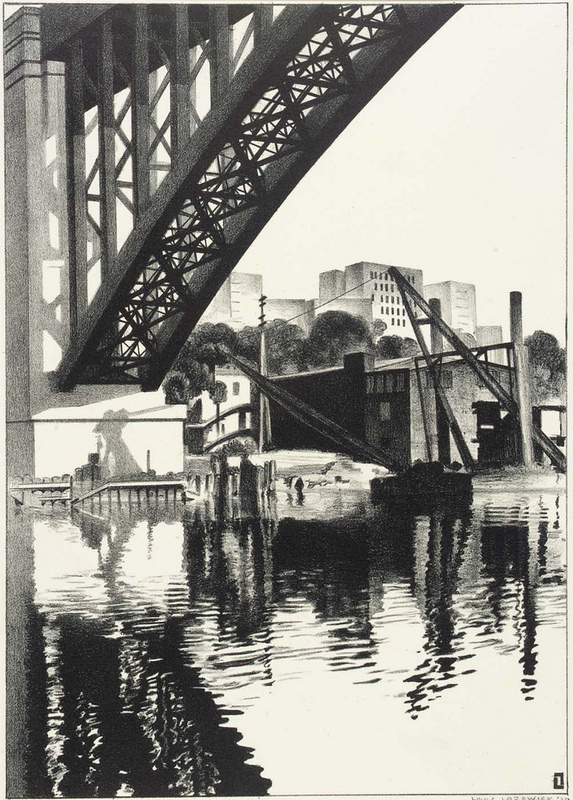 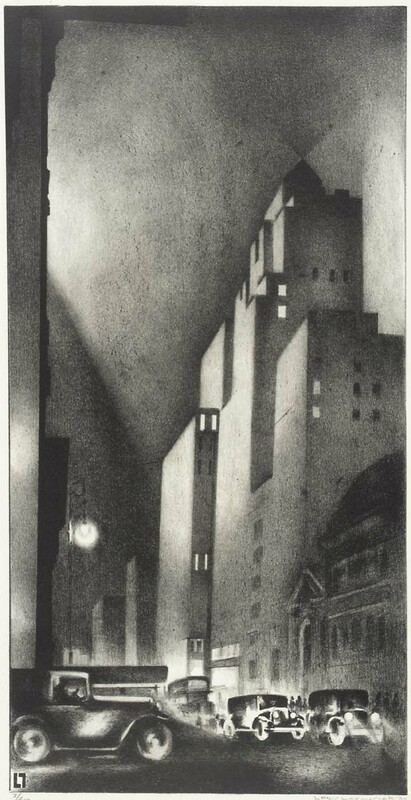 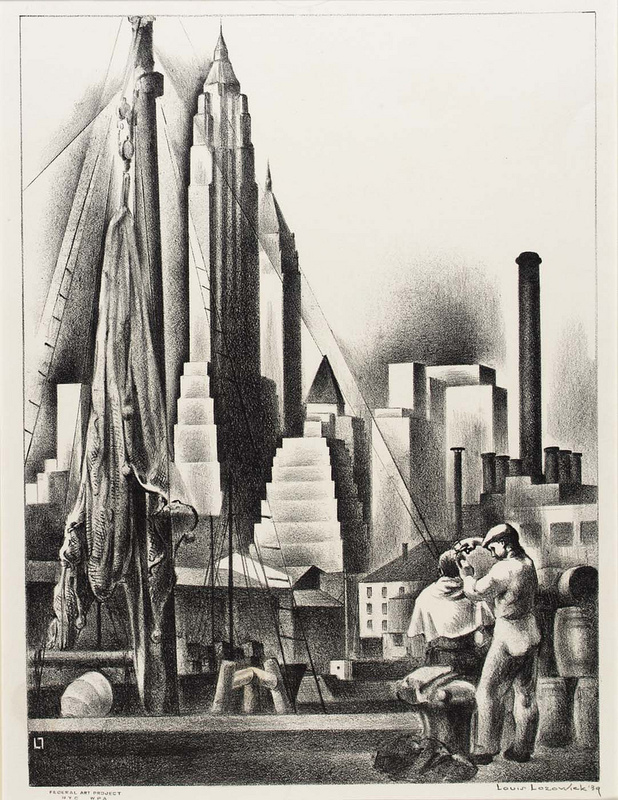 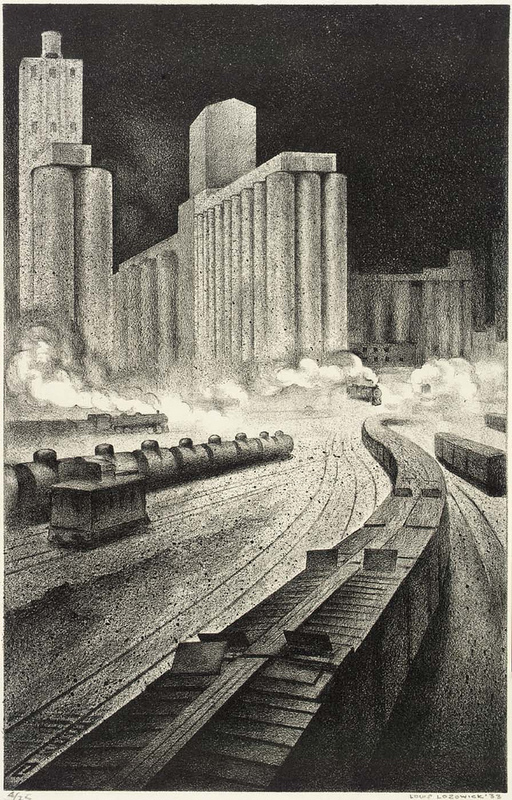 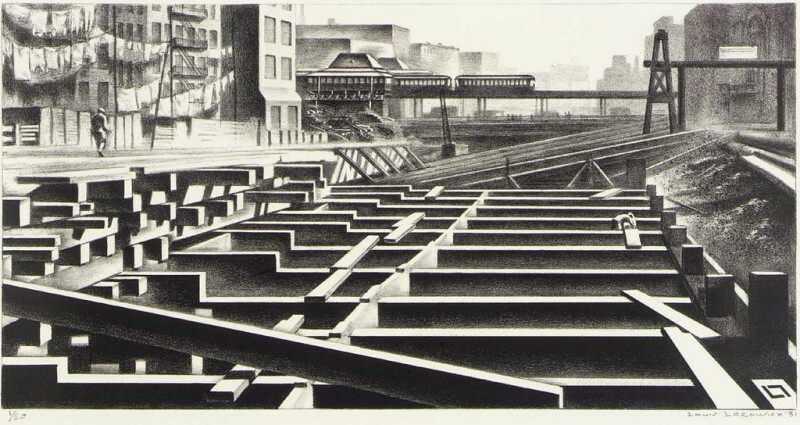 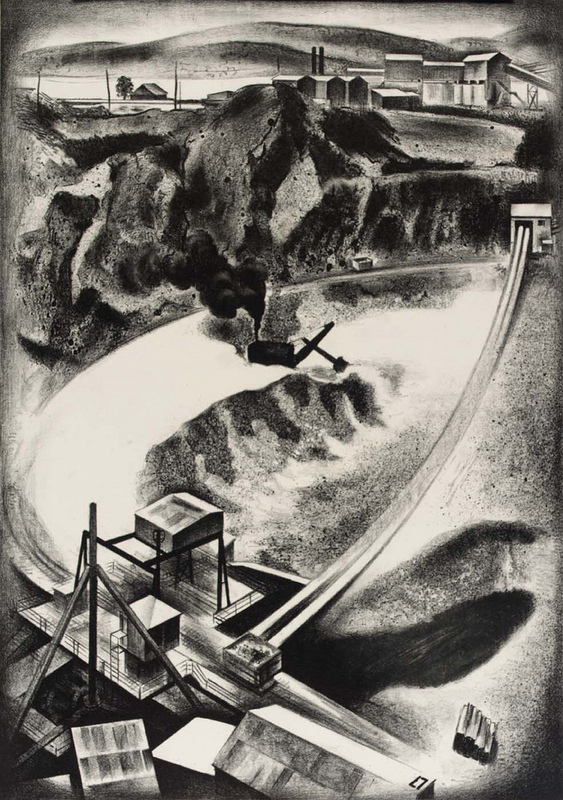 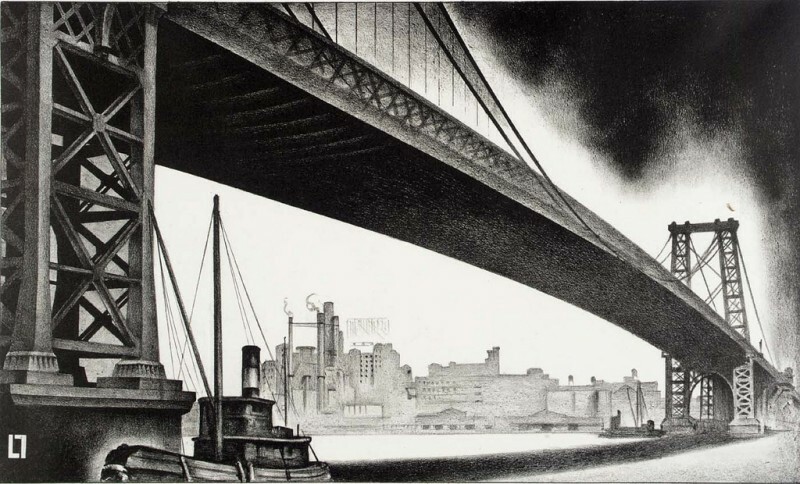 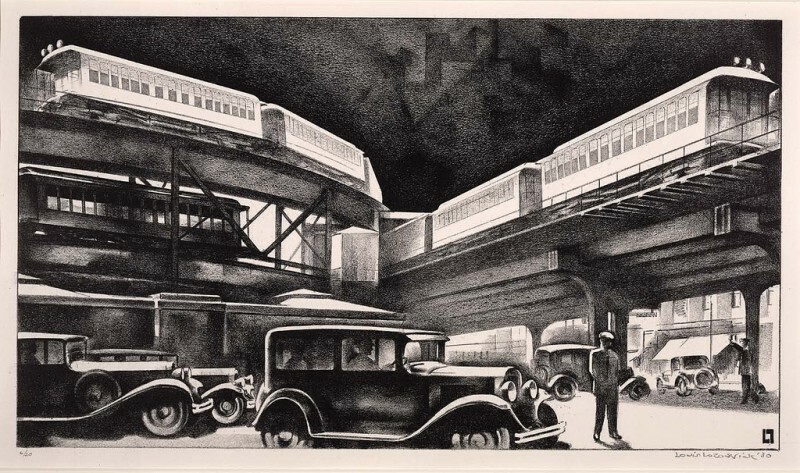 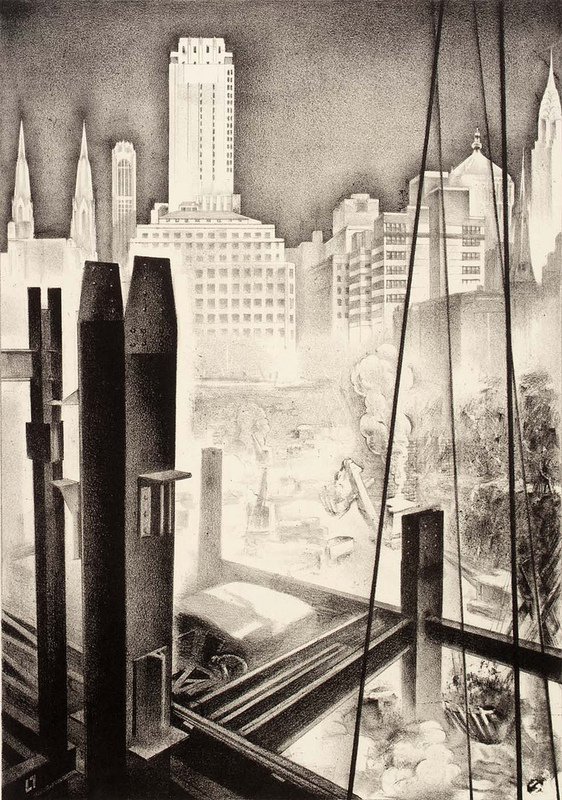 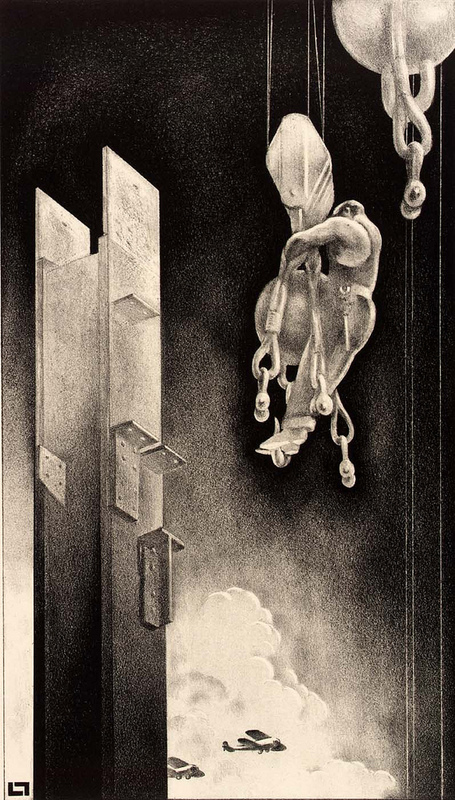 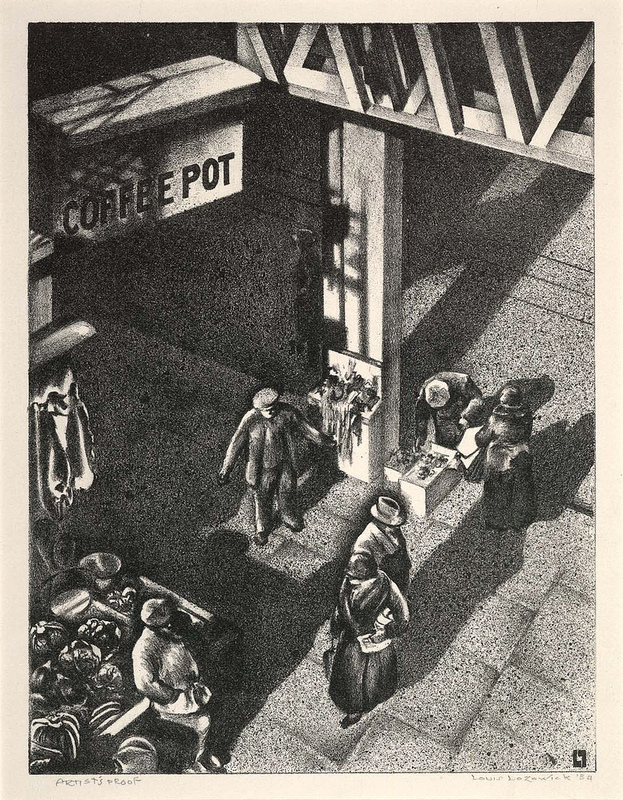 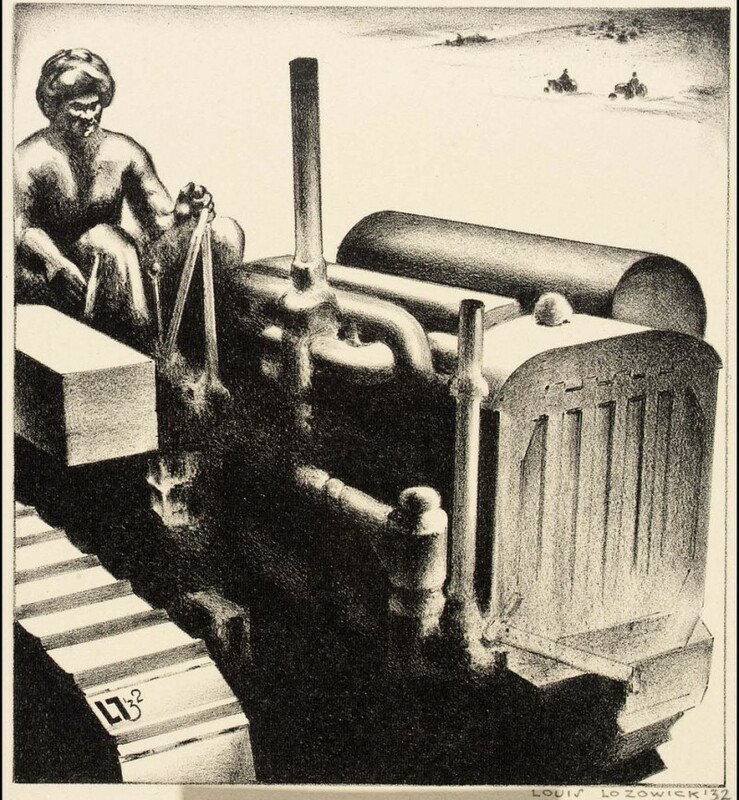 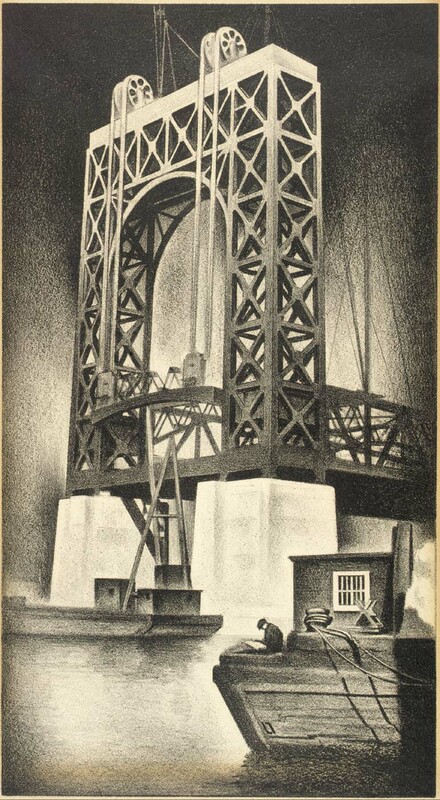 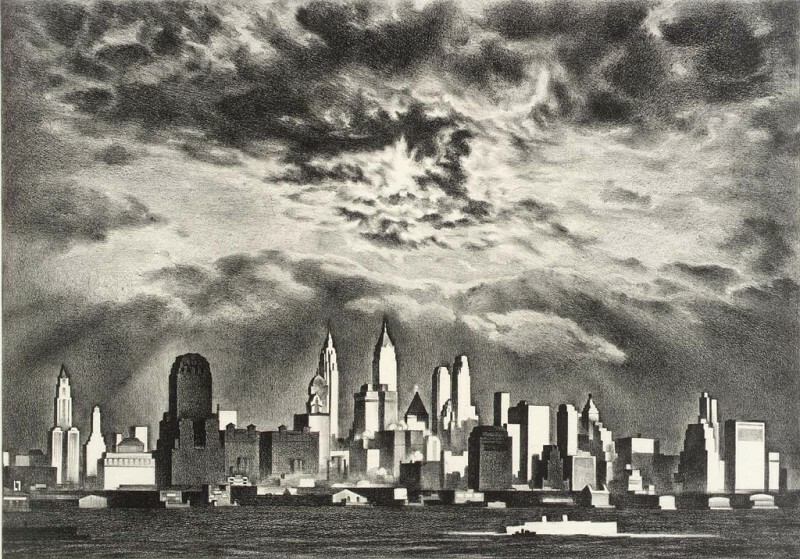 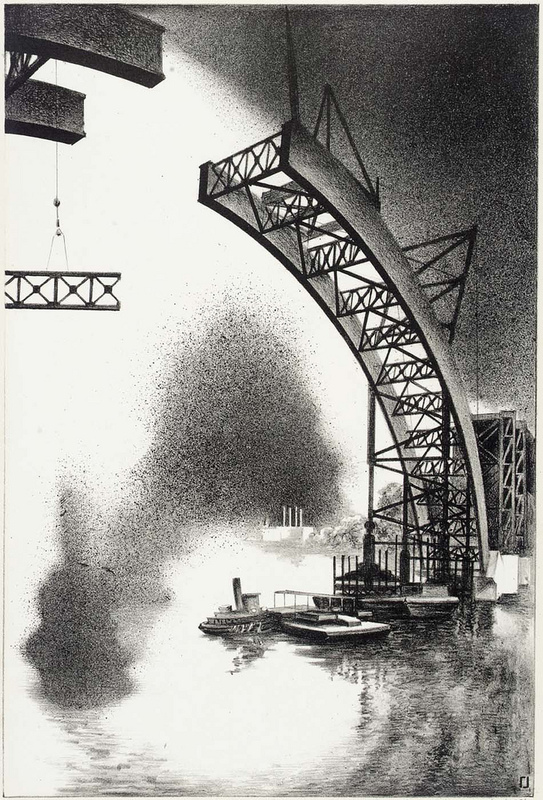 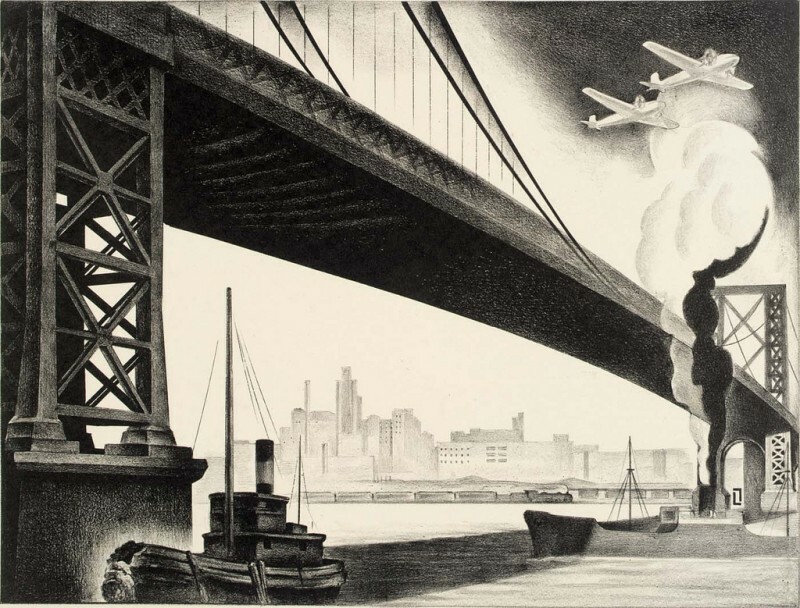 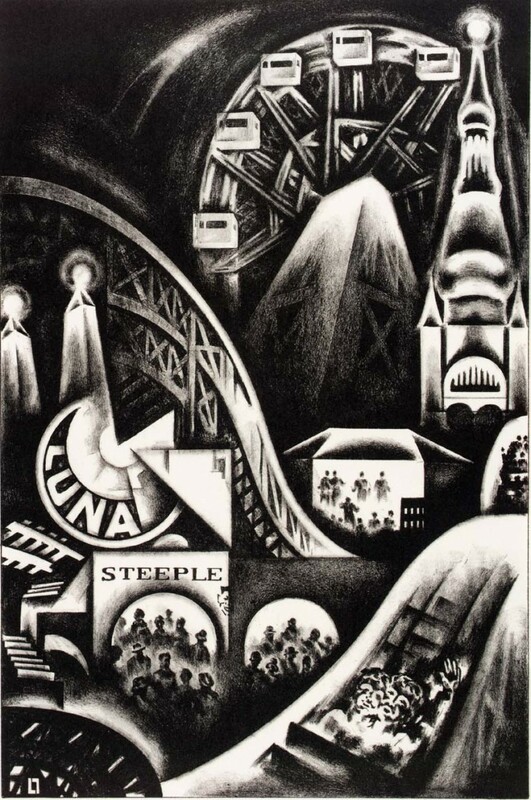 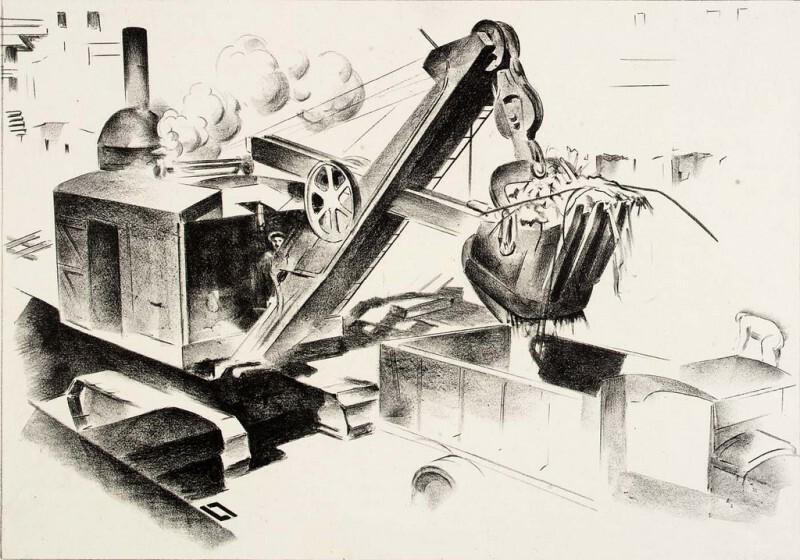 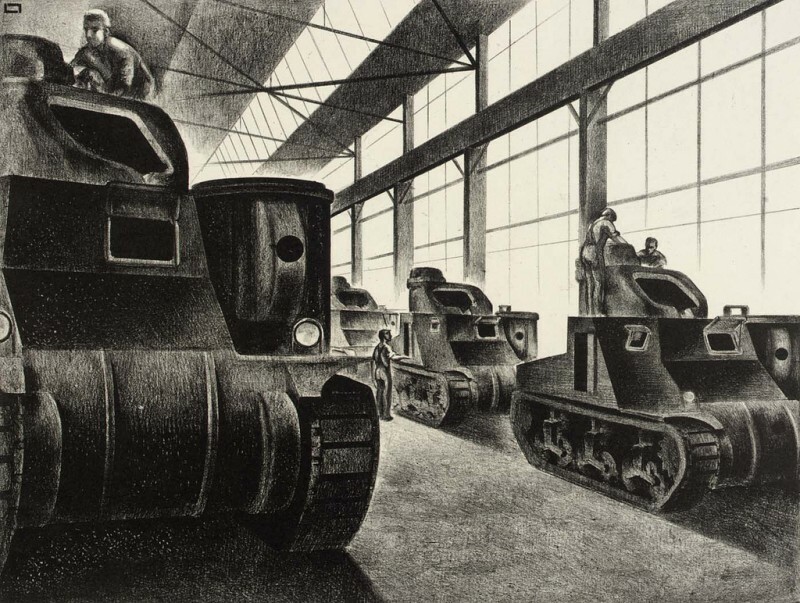 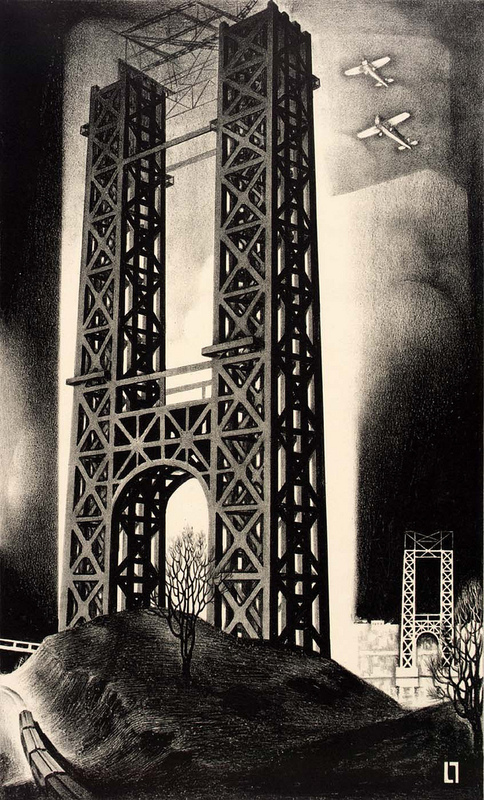 The Diesel era immortalized in the powerful lithographs of Louis Lozowick (December 10, 1892 – September 9, 1973). 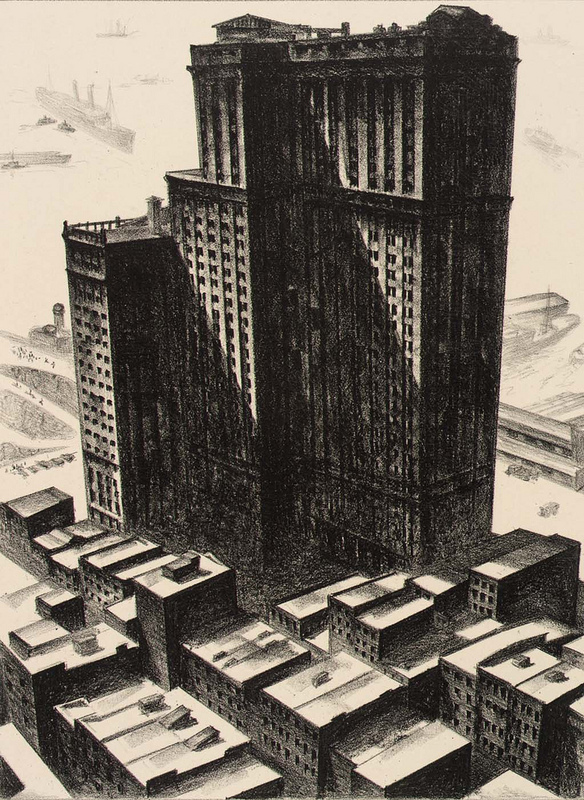 Born in the Russian Empire, Lozowick emigrated to the US in 1906, lived and and traveled throughout Europe between 1919 and 1924 and died in New Jersey in 1973. 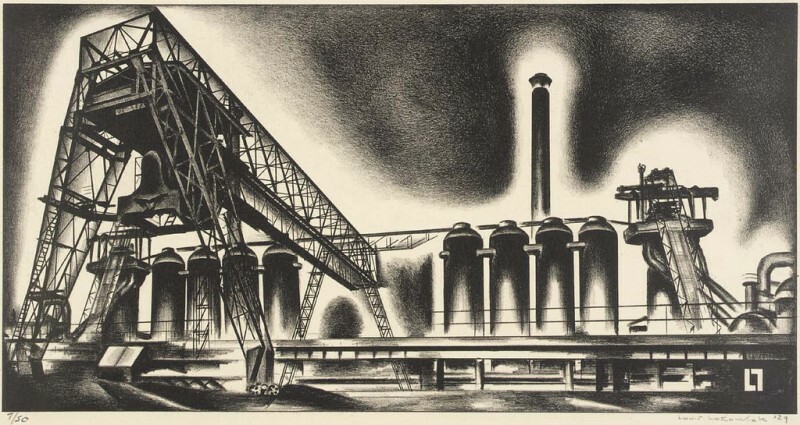 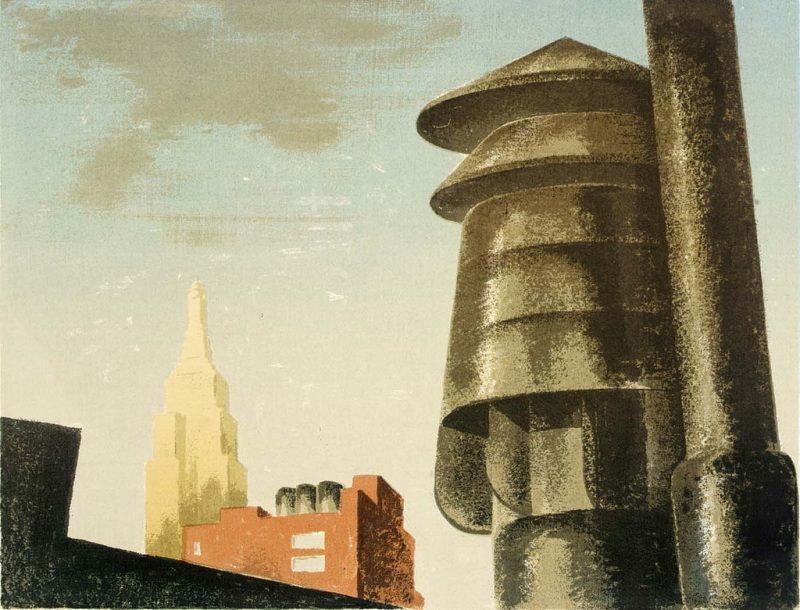 He was an accomplished Art Deco and Precisionist artist, but he’s mostly know for his work inspired by current artistic developments in Europe, such as Constructivism and de Stijl: streamline, hard-edged, urban/industrial-inspired lithographs. 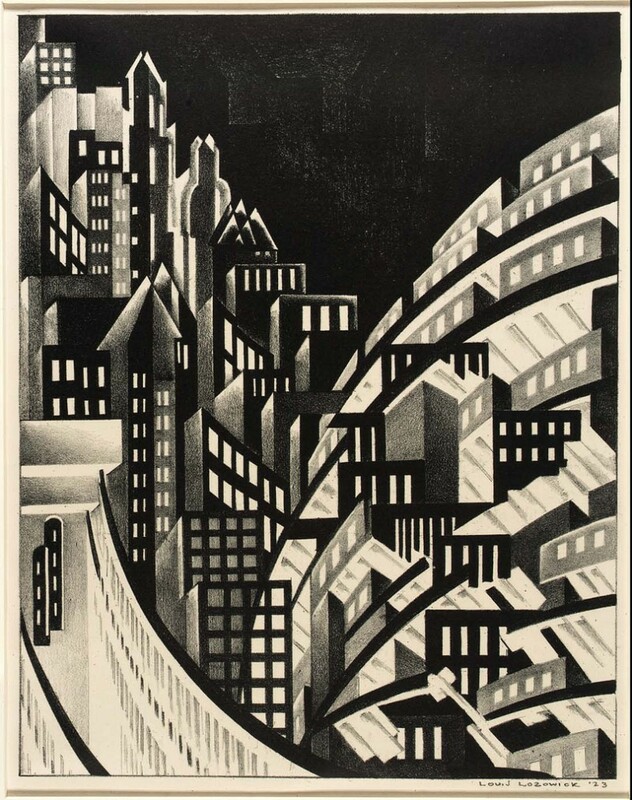 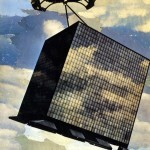 Lozowick was interested in the developments of Russian avantgarde and was part of the editorial board of the left wing journal New Masses. 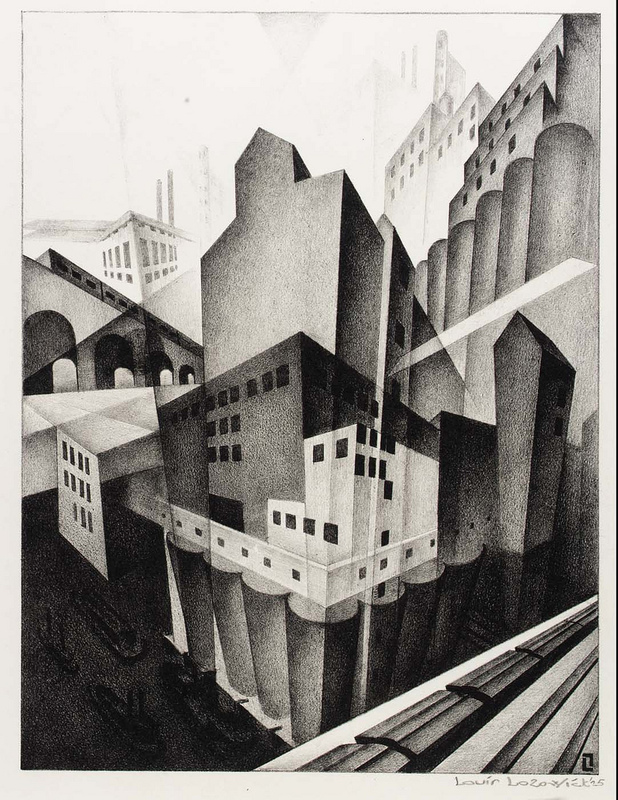 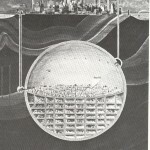 The human condition and nature were constant themes of his.